As well as creating records using our import data tool, you can also amend existing records by re-importing exported data. 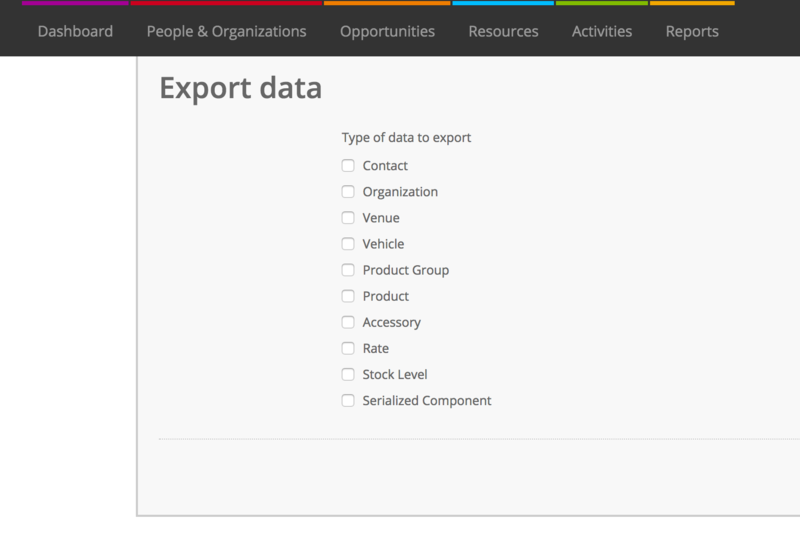 Head to System Setup > Export Data and grab a copy of the type of data that you’d like to update. When you’re done, re-import the data by heading to System Setup > Import Data. The “ID” is Current RMS’s internal reference for a record. Leave the ID intact to tell Current RMS to update this record. If the ID is changed, Current may update a different record. If the ID is blank, Current may try to create a new record. If you’re not changing particular fields, we always recommend deleting those columns from the exported template. This will ensure that you don’t inadvertently change information that you didn’t mean to. “ID” is available as an attribute when creating a custom views for contacts, organizations, venues, vehicles, and products. This means you can create a custom view, then export that to CSV and make changes. Import this in System Setup > Import Data when you’re done.